Well we’ve made it to the middle of the week and our 3rd geological word of the day. 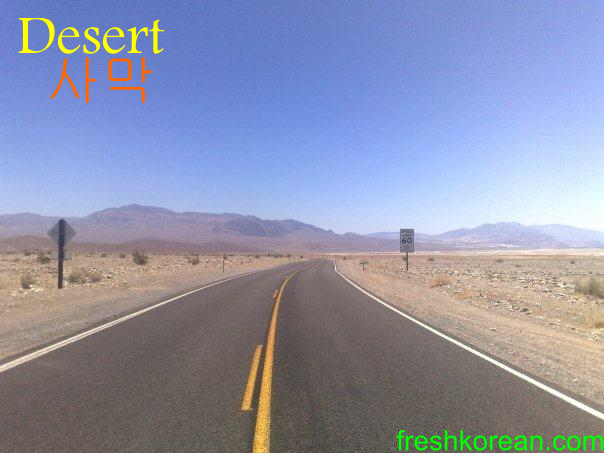 Today’s word is Desert or 사막. Of course South Korea has no desert’s however at the moment it does feel like desert type heat outside. Thank you for your interest today and please come back tomorrow for word number 4.